If you’re looking for an unusual slot machine with incredible graphics, solid payouts and a lovely theme that pleases the eyes and carries a valuable message – Raging Rhino is the right slot for you! 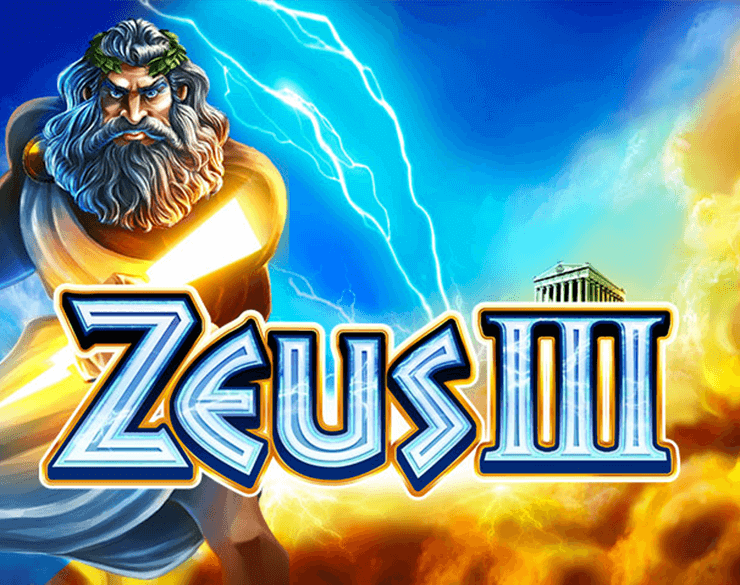 The game was developed by WMS Gaming and it has grown to become one of the company’s most popular products. 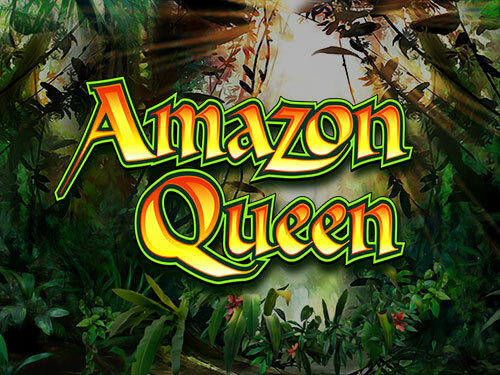 It offers an experience of the African savannah-like you’ve never seen before in a video slot, rich colours, powerful animals and high winnings throughout. You’ll get adapted to the African wild lands in no time, and you’ll feel like being in a production of Lion King, just way less tragic. Raging Rhino slot machine is a game with 6 reels and thousands of ways to create a winning combination, which makes it unique and a must-try! For fans of the animal world and extraordinary nature, Raging Rhino is a sight for sore eyes. The backdrop shows the African skyline and sets the scene portraying the untamed savannah lands. Instead of weird tribes and their rituals, we have the honours to meet the true rulers of the lands – the wild animals. Raging Rhino features beautifully designed symbols that represent the following species: the leopard, the crocodile, the gorilla, the badger and the Rhino himself. These mighty animals will pay out higher values, whereas playing card icons from Nine to Ace will produce smaller wins. The typical African tree against a sunset is the game’s Wild symbol. The Wild appears on reels 2, 3, 4, and 5 and replaces all base game symbols when there is a chance to create a winning combo. The only symbol that can’t be replaced by the Wild is the diamond, which acts like a Scatter and a feature-triggering symbol. Raging Rhino is played with 6 reels and 4 rows of symbols. It’s absolutely crucial that we mention that you can’t count on your average set of paying lines since the slot provides up to 4,096 ways to win. As you spin the reels and symbols touch, there are 4,096 patterns of forming a winning combination. The massive number of ways to win is easily the greatest feature of the Raging Rhino slot machine. However, the game offers bonus action as well. For one, the Wild doesn’t only complete winning combinations; it also adds a two or three times multiplier to those matches it forms part of. Secondly, Raging Rhino features an impressive free spins round that can start with three or more diamond symbols on the reels. If you activate the free spins with three diamonds, the reward is 8 spins. If you land four diamonds, you can get as much as 15 spins. 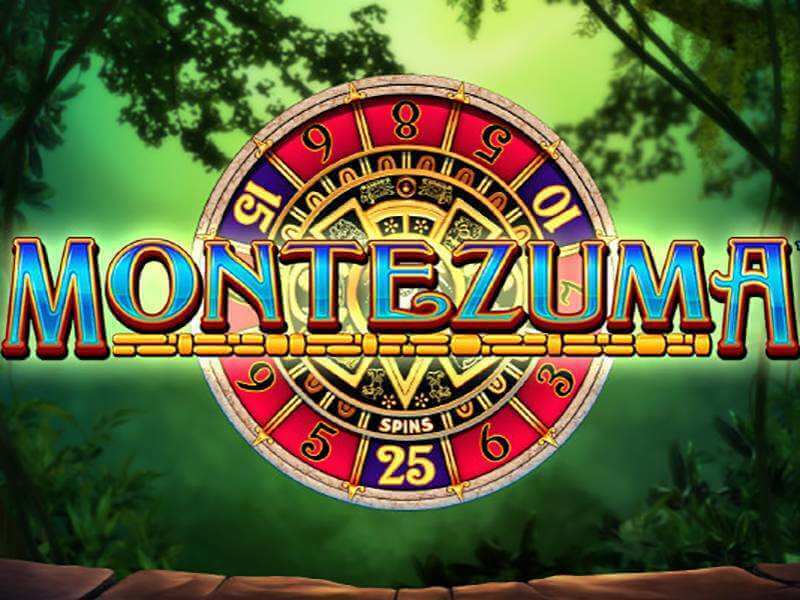 Five diamonds will bring you 20 free spins, and if you gather all six diamonds in one spin you’ll receive a set of 50 free spins to play. That’s quite a lot of free spins to look forward to! In terms of volatility, WMS’s Raging Rhino slot is a high variance slot, meaning the wins may not be that frequent, but when they come they tend to be pretty massive. What makes Raging Rhino Slot so special? 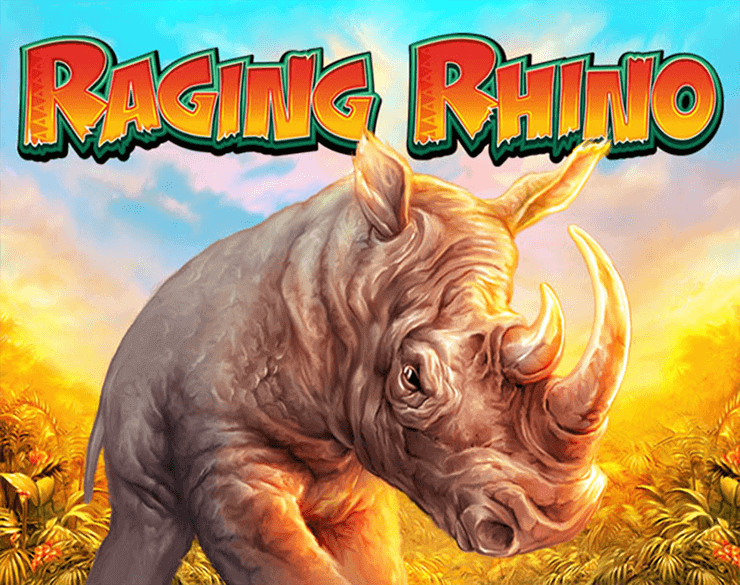 Raging Rhino is another slot that is set in the wild plains of Africa and is one of WMS Gaming’s most popular games. 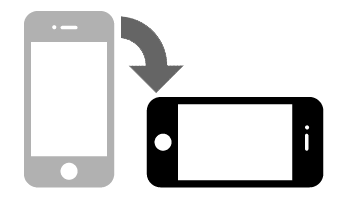 Its popularity is due to several factors that we will look into here and includes things like gameplay and high payout potential. Animal themed slots can be a bit hit or miss but on the whole, they usually strike a positive note with the gaming public and this is certainly the case with Raging Rhino slot. How the game looks is certainly one of its winning elements. The background has a nice glow to it as if we are catching the first rays of sunshine in the African wilderness which sets the mood nicely. The symbols compliment this mood perfectly too if we leave aside the usual low paying 9-Ace symbols to focus on the picture symbols. These represent some of the more dangerous species such as the gorilla and crocodile, and of course the mighty rhino. There is something about the way the rhino is lit up that produces a little tingle of excitement whenever it lands, especially when it is part of a win. 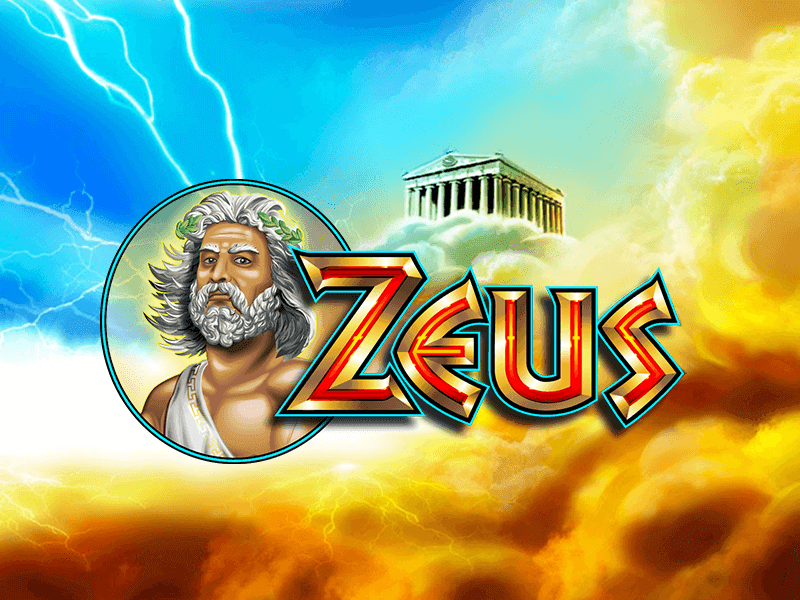 The winning potential is also one of the key factors that make Raging Rhino slot so special. It has a slightly uncommon setup with 6 reels and 4096 ways to win. That is, there are 4096 different patterns that can be formed by the various touching symbols. This works very well with the scatter (the diamond), and the wild (the tree) to create an exciting slot with the potential to pay out 1000x the stake. Raging Rhino is a high variance slot with fewer small wins which may not suit some games, but for others looking for a huge score, there is always the hint that the big one is just about to drop.